The USS LITTLE ROCK (CLG-4), a Cleveland class light cruiser, was commissioned on 17 JUN 1945. 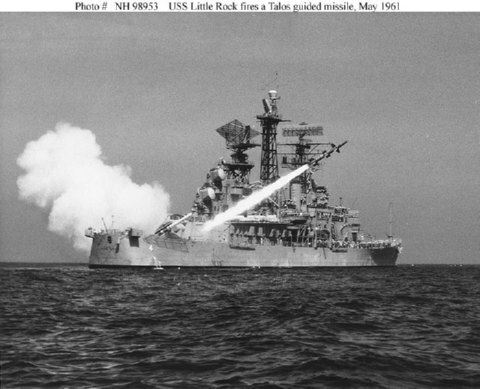 USS LITTLE ROCK served her country for 31 years, 5 months and 5 days, until decommissioned on 22 NOV 1976. JAN 1960 - OCT 1961 med. Final Disposition: Donated to the Buffalo and Erie County Naval & Military Park Buffalo New York.